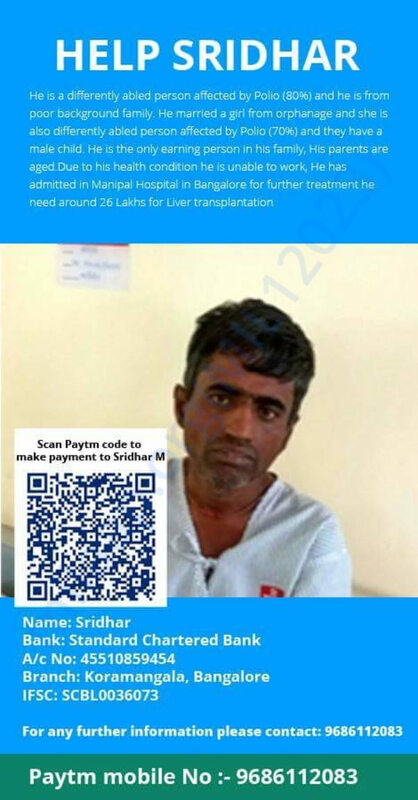 Are we one among saving Sridhar’s life? 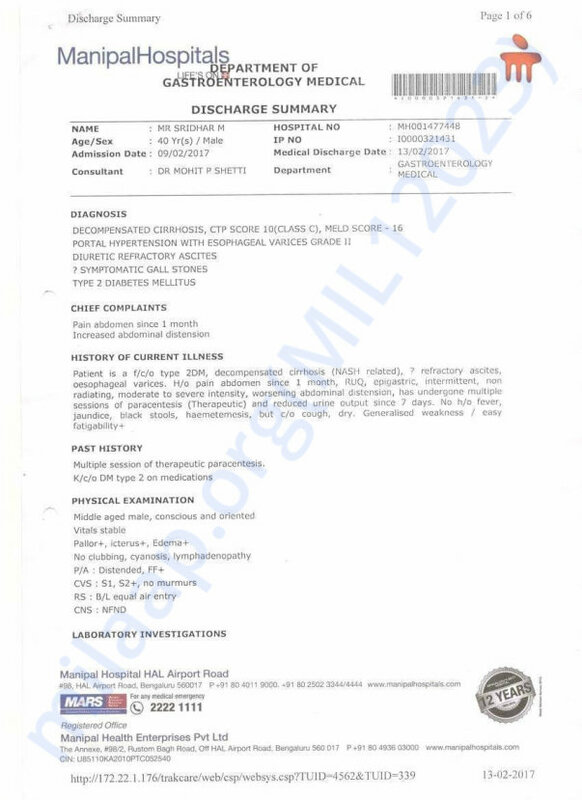 Sridhar - 80% polio affected man, married an orphan girl with 70% polio affected body. 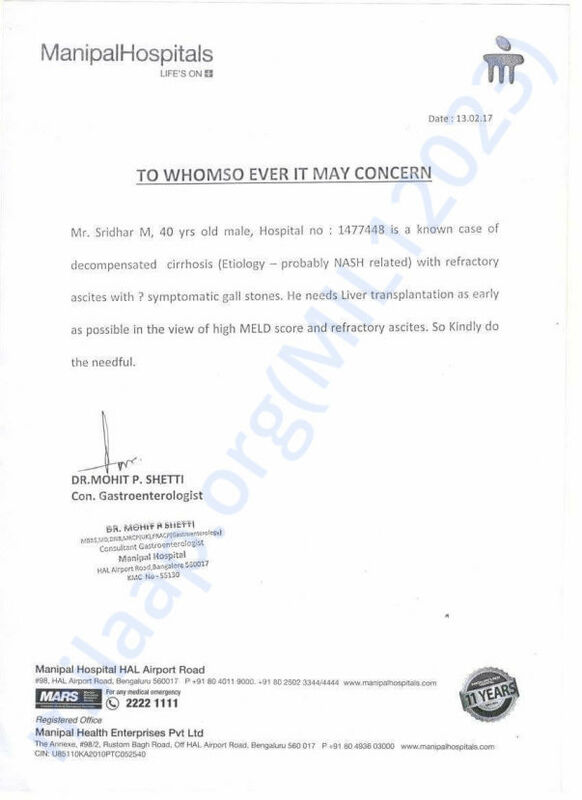 Sridhar is being hospitalised, as he is suffering from liver disease, and needs an immediate liver transplant. 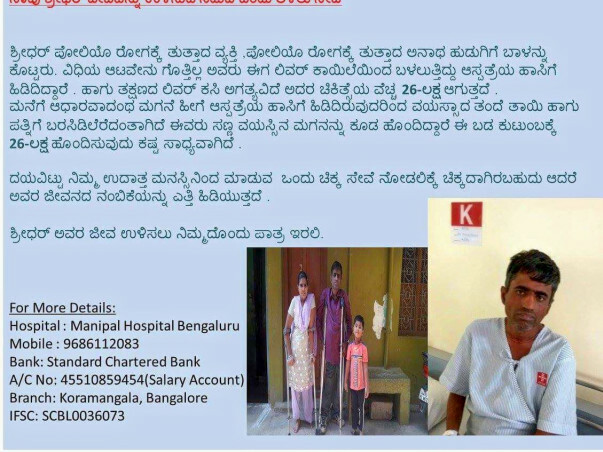 This transplant is an expense of 26 lakhs, which is bigger than big for this poor family. He is only earning soul to a family of five- his small son, aged parents, and wife. For this poor family affording 26 lakhs and saving their son is like a Godly play.